Mesmerizing photography, videos, and infographics weave richly immersive descriptions of an international company’s unwavering 85-year contribution to global energy needs. The site covers many corners of the company’s diverse business activities and tells stories of working with integrity, helping people to seize opportunities, and rolling out meaningful solutions to the planet’s challenges. Corporate Affairs vice president Nabeel A. Al-Jama’ said millions of visitors access Saudi Aramco’s website — which is available in English and Arabic — each year. Describing the new website as a significant move from a traditional corporate internet platform to one focused on individual visitor needs, Al-Jama’ said the userfocused approach was based on research and analysis in the early stages of the project. Visually stunning, the internet moves away from the “one-size-fits-all” approach of a customary website. Based on an individual visitor’s browsing behavior, the site is programmed to carve out and suggest custom selected content tailored to the individual visitor’s interests. The user-centric redesign captivates the individual by offering simple clear navigation and the option to filter content based on personal preferences. Website team leader Imad Abdul Samad said the company’s research findings indicated it was particularly important to provide information in a quickly absorbable way, such as through the use of infographics and increased multimedia, while providing the option for deeper dives into our content. “The new site uses a storytelling and visual approach to convey the breadth and depth of company operations in an easily understood and engaging way,” said Abdul Samad. He explained the new site’s simplified navigation was created in line with Saudi Aramco's corporate story and future strategic aspirations: “We move away from presenting ourselves in a heavily corporate way and instead focus on the story we want to tell about ourselves — who we are and what we care about as a company,” he said. The website has a section dedicated to Saudi Aramco’s products — molecules that, with science and imagination, can become products that have the potential to power every human endeavor and form the basis of breakthrough materials that improve the quality of lives. 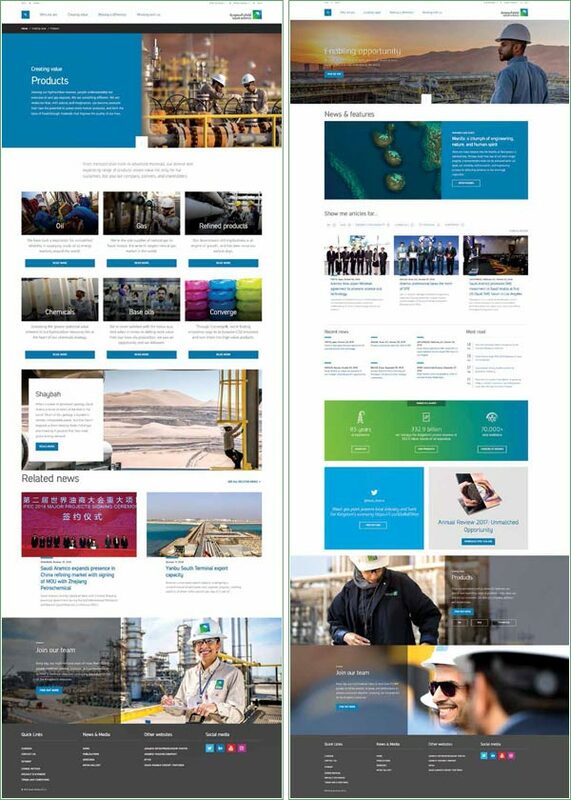 A leading global oil, natural gas and petrochemicals company whose subsidiaries have operations in nearly 200 countries and territories, Saudi Aramco’s revamped website is a modern narrative of a company aspiring to be the world’s leading, fully integrated energy and chemicals producer, and in many ways it is addressing global challenges. The refreshed site continues to build on the features and functionality of past versions, and enhances the user experience through best practices and the latest in web technologies. The technology behind the new platform is both flexible and scalable. Built with the mobile user in mind, the multiple server content delivery system provides global users access to the website across desktop, tablet, and mobile devices. 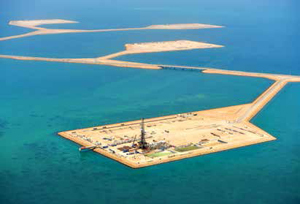 Visit the new website to immerse yourself in some of Saudi Aramco’s stories: www.saudiaramco.com. We hope you enjoy the journey of discovery and inspiration.